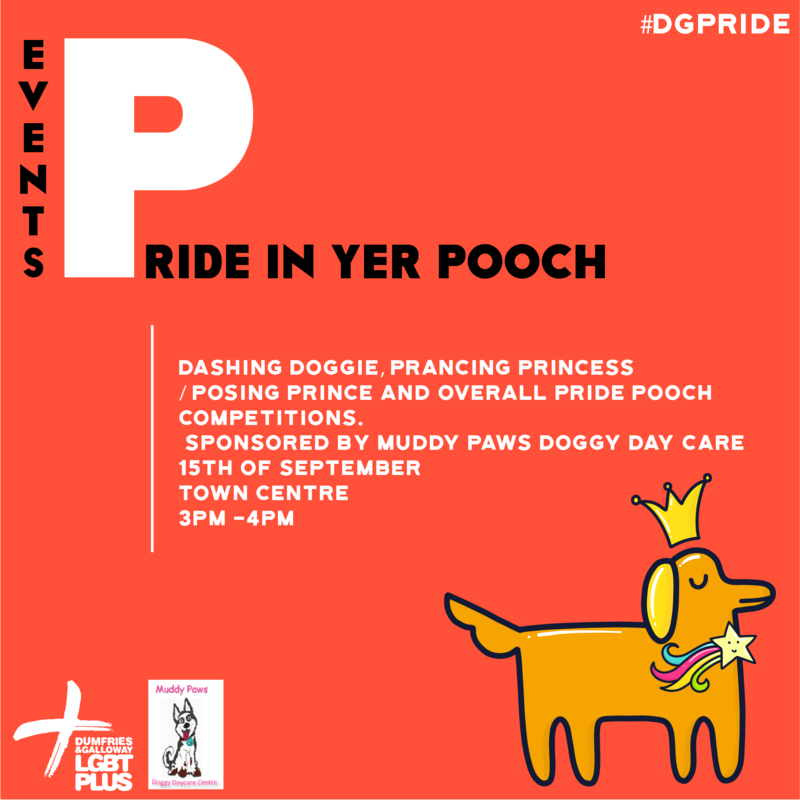 Bring your doggie for taking part in our ‘Pride in yer Pooch’ competitions. We are looking for dashing doggies, prancing princess/posing prince and overall pride pooch. Prizes available. The winners of these categories will be entered in the Best in Show as voted by the audience. You must pre-book for each event you wish to enter – Entry is free. Thank you to our Sponsor Muddy Paws.